A woman was arrested by police in Moscow after she was found parading the streets of Moscow with the severed head of a child. 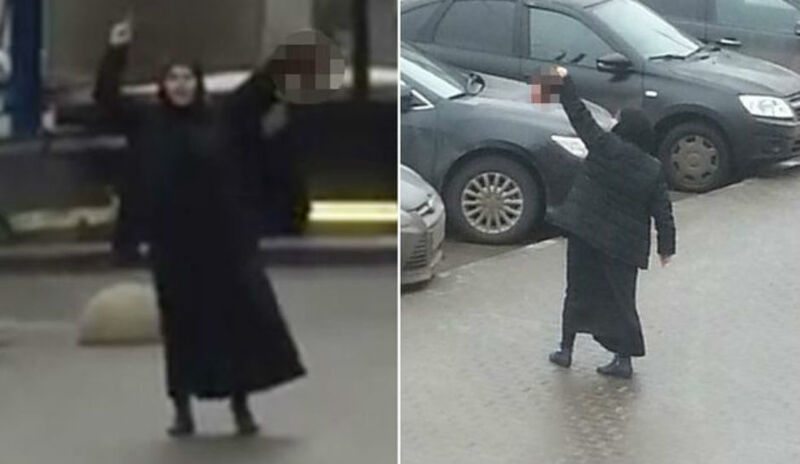 Video footage leaked onto social media appeared to show the woman, who was identified in Russian media as Gyulchekhra Bobokulova, dressed in a black abaya and hijab raising the severed head near a metro station while shouting loudly. According to Russian media, the woman is accused of setting fire to the parents’ apartment after killing the three- or four-year-old girl. The Moscow Investigative Committee said in a statement that the woman was born in “one of the Central Asian states” in 1977. The Committee added that the woman waited for other family members to leave the apartment before murdering the child and setting fire to the apartment. According to Russian media, the woman is originally from Uzbekistan and worked as a nanny. Reuters reports that the woman screamed “Allahu Akbar” and shouted “I am your death” and “I am a terrorist” while parading the streets outside a metro station for at least 20 minutes with the child’s head. In the video, which was also aired by RT, the woman is also heard screaming that she has been “cursed” and “destroyed”. “The end of the world is coming in a second…I’m your death,” says the woman in the video, according to RT. According to RT, the mother of the dead child was taken to hospital after learning of the tragic news. The suspect has been placed in psychiatric care, announced the Moscow Investigative Committee.